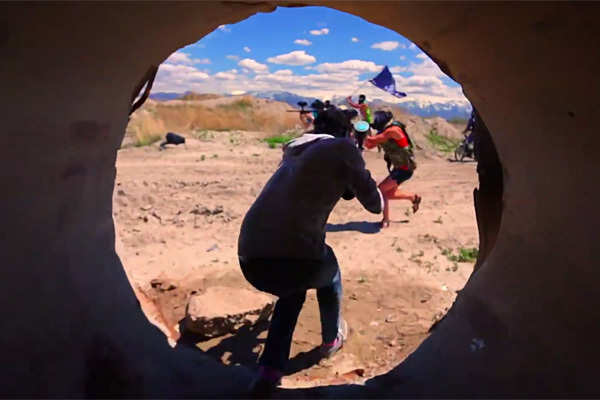 Videographer and extreme sports YouTuber Devin Graham and the Nitro Circus stunt team released this video called ‘Paintball Warfare’. The collection of ATVs, jeeps, and dirt bikes flying through the sand with paintballs flying is fun to watch, but certainly nothing to try at home. But we have to admit, the dude in the parachute is a genius.